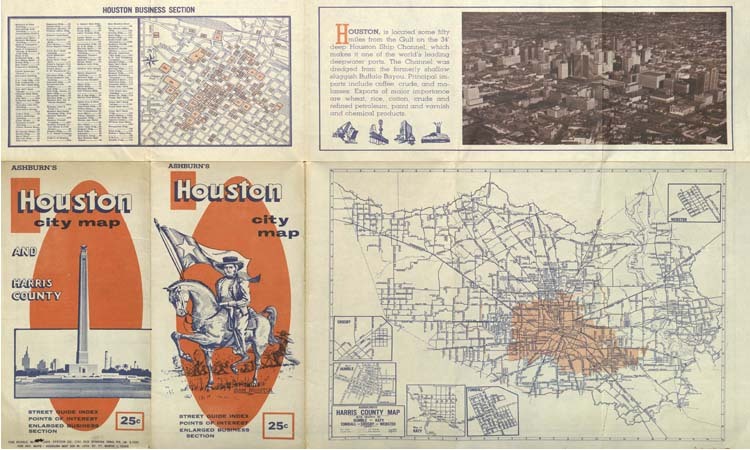 The 30 historic maps in this digital collection provide a window into geo- and socio-political developments and changes within Texas, the cities of Houston (including selected sub-divisions) and Galveston, and regions beyond the state’s borders. Map dates range approximately from the first third of the 19th century through the first half of the 20th century. Along with the maps of the City of Houston are specific detail maps of sub-division plats, including Camp Logan (1917), Central Park, Magnolia Park, Houston Heights, Rice Court, Shadow Lawn, Shadyside, and Southampton Place. Beyond the State of Texas itself, there are examples of Texas at the time of the 1836 revolution, a map including Indian Territory to the north (comprising present-day Oklahoma), a Map of the South West, which, besides Texas shows Arkansas, Illinois, Louisiana, Mississippi, Missouri, Indian Territory, the states of northeastern Mexico, and the railroads traversing this large land mass. And depicting all the free and slave states and territories of the Union is Reynolds’s Political Map of the United States (1856) at the time of the second Missouri Compromise.